The Verge reports that the White House unveiled a new awareness campaign Wednesday. With the simple message of "Pro-Gamers #GetCovered," it looks to persuade e-sports players to sign up for affordable health insurance before the Feb. 15 enrollment deadline. The initiative sees the White House teaming up with major players in the e-sports industry, including Twitch, ESL and Geer. It also includes a brief video, with three e-sports athletes explaining how they've benefited from having health insurance. 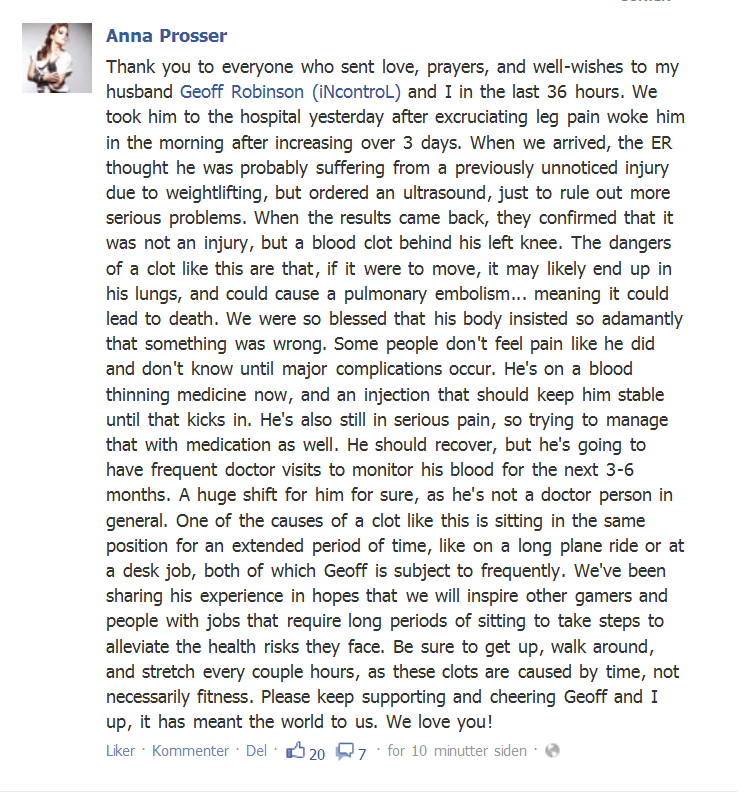 One of them, Geoff Robinson — known to e-sports fans as iNcontroL — got a blood clot in his leg two years ago, doubtless from the sitting required for long rounds of gaming. He went to the hospital and is fine now, but resulted in months of hospital visits, as his wife explained. Though afflictions like carpal tunnel syndrome are the most obvious risks of playing popular games like League of Legends, extended sitting is likely to cause a slew of problems. Numerous studies show that sitting is bad for you in the long run. The awareness campaign is hoping to get this message out to the growing audience of e-sports, which the White House blog post says is more than 31 million people, a number that is beginning to rival traditional sports.